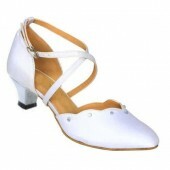 where you are welcome to come and try them on. 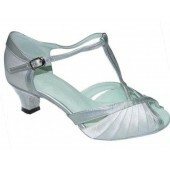 Formal shoes are shipped Australia wide and internationally. Also have a look at the matching clutches & evening bags on our site. 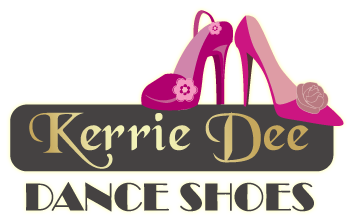 Heel Height: 2.5 inch - 6.5 cm This shoe is set off by the elegant diamante detailing sr..
Heel Height: 2.5 inch - 6.5 cm This shoe is set off by the elegant diamante detaili..
Mika White is a traditional feminine style. 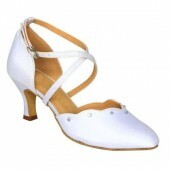 Shoe features a cross over ankle strap. Comfortab..